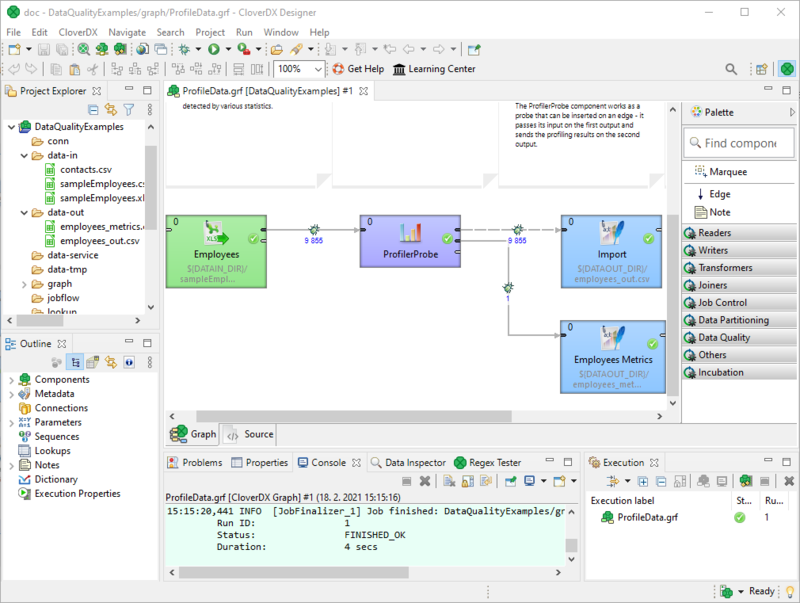 CloverDX Designer is an engine-based standalone application for creating and running Graphs. CloverDX Designer also allows you to work easily with CloverDX Server. You can use CloverDX Designer to connect to and communicate with CloverDX Server, create projects, graphs, and all other resources on CloverDX Server in the same way as if you were working with CloverDX Designer only locally.